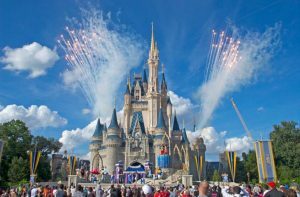 Disney is the latest company to jump on the anti-disposable plastic bandwagon, as it just promised to eliminate plastic straws, stirrers and cups from its parks, hotels, cruise ships and stores by 2019. The move will keep 175 million straws and 13 million stirrers out of production and landfills annually. The company also pledged to reduce plastic use in its hotels and cruise ships by 80 percent, mainly by transitioning to refillable dispensers for shampoos, soaps and other toiletries. “We will also reduce the number of plastic shopping bags in our owned and operated parks and on our cruise line, offering guests the option to purchase reusable bags at a nominal price,” wrote Mark Penning, vice president of Animals, Science and Environment for Disney Parks in press release. The company diverted nearly 50 percent of waste from landfills and incineration in 2017, and has a long-term goal of net zero greenhouse gas emissions and zero waste. What are they planning to use as a replacement? yeah, good question. no idea how the human race survived before plastic plates.